Jodhpur is popularly known by various names like “Blue City”, “Sun city” and many more. It is located in the Thar desert and enjoys a bright and sunny weather all the time. It is the second largest city located in the desert state of India- Rajasthan and attracts large number of visitors from different parts of the world. Due to this reason to make your travel experience in this city easier, we are offering this Jodhpur travel guide giving all round information about major tourist attractions like temples, palaces, forts and much more. Have a look at the below mentioned famous tourist places in Jodhpur or places to visit in Jodhpur that are must see places and form an integral part of Jodhpur Tourism. 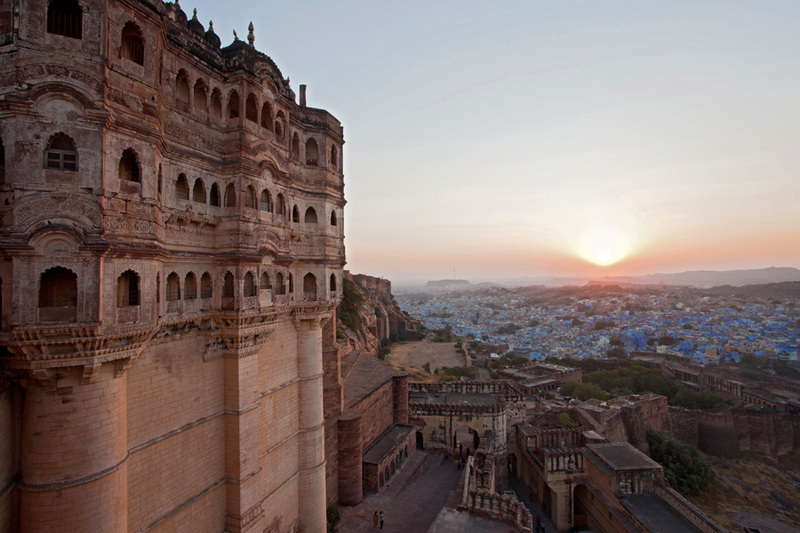 Mehrangarh Fort is one of the largest forts in India, which is enclosed by think walls and has various palaces with expansive courtyards and intricate carvings. It comprises of 7 gates, which includes Fattehpol, Jayapol and many more. This fort also has a big museum, which displays the ancient heritage of India like decorated period rooms, paintings, costumes and arms. 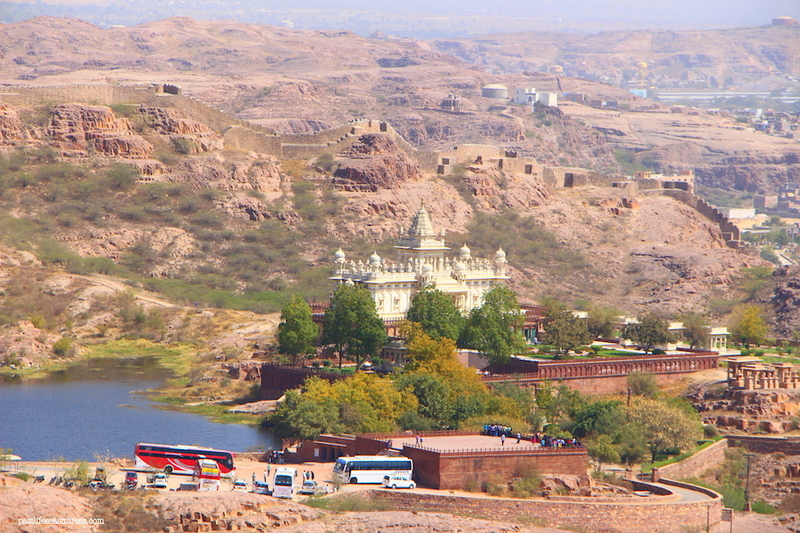 If you are planning to visit Jodhpur, then it is a must-see tourist attraction. 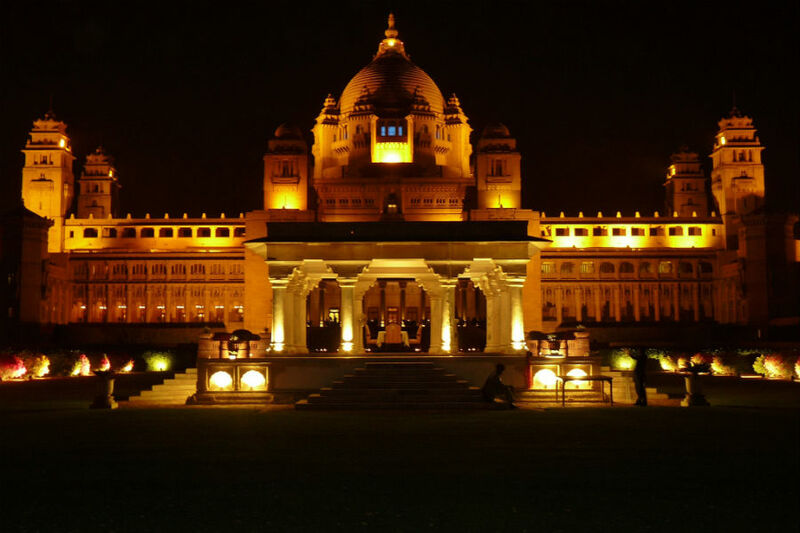 Umaid Bhawan Palace was also called as Chittar palace at the time of its construction because of the use of stones commonly known as Chittar in it. It is one the world’s largest private residences having 347 rooms and divided into 3 parts consisting of museum, residence of royal family and a heritage hotel. The museum has vast collection of photographs, ancient watches, rocks, cutlery, crockery and other antiques. Jaswant Thada was constructed in the year 1899 by Maharaja Sardar Singh in memory of Maharajah Jaswant Singh II. This white marble memorial s built with extremely and well polished thin marble sheets, which emit a warm glow when the sun ray’s strike them. So, if you are planning a visit to Jodhpur then you must visit this grand and beautiful monument. It is considered as the most convenient and appropriate way to reach this city. Jodhpur is very-well connected with all the major Indian cities like Delhi, Jaipur and many others. It has domestic and terminal for large number of flights to various destinations on regular basis. You can get connecting flights to major international destinations from Delhi, which makes your journey much comfortable. Jodhpur is very well-connected by rail service with all the major cities in India like Jaipur, Bikaner, Jaisalmer and many more that enables you reach this beautiful city very easily. To reach Jodhpur, roadways is regarded as the most convenient option as this city is very well-connected with all the major cities in India like Udaipur, Jaipur, Bikaner, Jaisalmer and many more. At the same time, by hiring car for rental service allows you to the see all the major tourist attractions in and around Jodhpur.